However this new territory represents more than a geographical shift prompted by design reflecting money. For example the vast new conservatories in Singapore, extravagant at first glance, are also geared to promote ambitious educational agendas and place the city in a garden. And while the new Hunirou Library designed by Li Xiaodong is remarkably modest by comparison it too promises significantly more than just new spaces to read in a Chinese village. This redrawing of boundaries which makes an architecture that engages a widening range of issues also pops up down under where a commission in Sydney has been framed to develop an architecture that conspicuously offers ‘both and’. By carefully planning an ensemble of office buildings this scheme also creates an elegant backdrop that in turn prompts a sequence of truly civic spaces at the edge of the new world. And where east meets west the design of new housing in Istanbul, perhaps inspired by those boxy projecting bays familiar in the traditional housing of the region, offers an austere elegance. In doing so it sets aside Anatolian nostalgia and rejects the digitally powered tracery that now seems to weave its way through the plans, sections and elevations of so much contemporary architecture. Further west an elegant ensemble of buildings in Catalunya provides new spaces and refined settings for people living in social housing, working in municipal facilities and using improved streets in an historic city. What a splendid project this looks to be! Elsewhere in Spain other architects surprisingly introduce an all-too-familiar device from the current international style toolbox – the assertive jaw-dropping cantilever. It seems particularly inappropriate for a nursery in Barcelona and presents a daunting entrance on the street. And, once inside, an equally aggressive super-striping of spaces leaves stairs and hallways looking strange for both big and small as well as young and older! Based on these projects this new world offers alternative views of architecture. 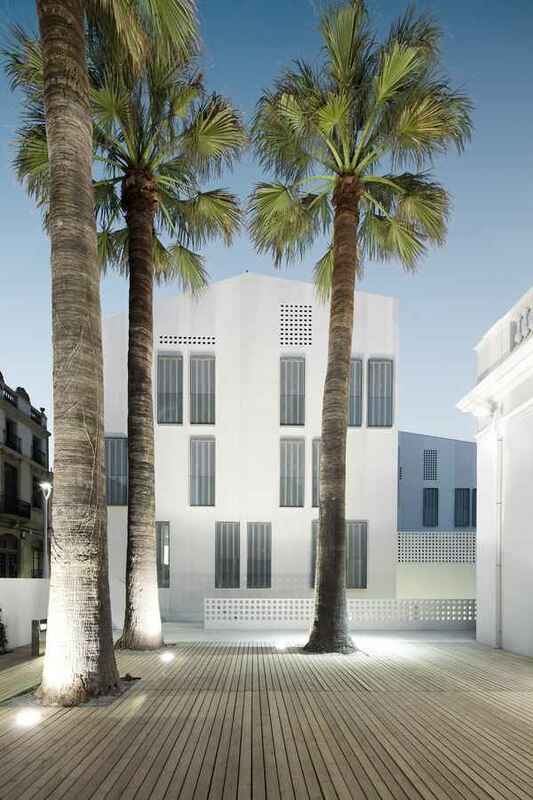 This is a modern architecture no longer confined within the shores of Europe or inspired by North American production. Nor is it a modern architecture pre-occupied with bling or the provision of spectacular backdrops for luxury cars and shiny frocks. And, while the temptation to encourage global ‘iconlust’ through the promotion of an instantly recognizable international style denoted by digital tracery and spectacular cantilevers persists, this is also encouraging evidence of an urge to pursue other ideas in other places. Brian Carter is a registered architect who worked in practice in London before taking up an academic appointment in North America. October 9, 2012 in Articles.